IndiGo A320neo MSN6720. Copyrighted image used with permission. Do not reproduce or copy. India’s largest domestic airline is set to become the second operator globally of the new Airbus A320neo (new engine option) aircraft, and the first in Asia. 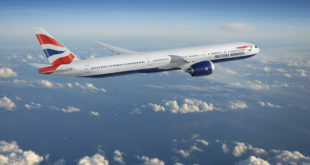 The carrier today released a statement confirming that it will take delivery of a total of 24 new aircraft, three till end March 2016 and 21 in the fiscal year ending March 31, 2017. 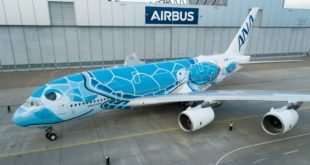 The airline has orders of 430 of these new aircraft. 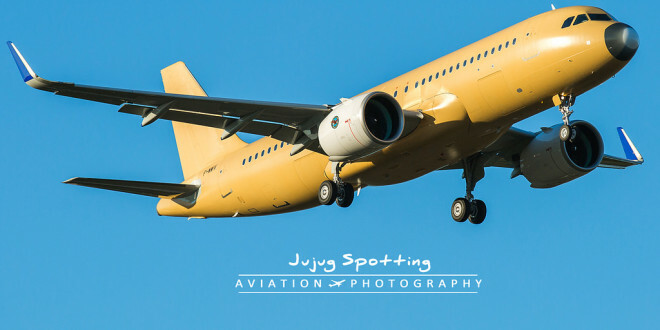 The neo uses ultra-high bypass turbo-fan engines and winglets Airbus calls ‘Sharklets’, to achieve over 15% fuel savings compared to the current generation ceo (class engine option) A320s. IndiGo has chosen the Pratt & Whitney PurePower PW1100G Geared Turbo Fan (GTF) engine. The aircraft that most likely are expected to be delivered will be VT-ITC, followed by VT-ITD, and VT-ITE. The status of VT-ITA is not yet known, and VT-ITB will remain with Airbus for some time performing extended testing. Delivery of the neos were delayed due an issue with the engine which seem to have now been resolved. As per IndiGo’s President and whole-time Director Aditya Ghosh, the airline has signed leases and will take delivery of another seven used A320ceo till November 2016. IndiGo will grow its fleet to 131 aircraft by March 2017 to meet the growing demand in India. During calendar 2015, domestic passenger traffic increased a whopping 21%, one of the highest in the world, and total passengers served by IndiGo increased by 35.5%. 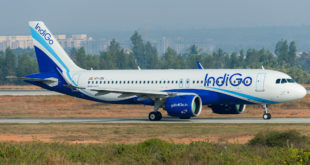 The airline in its statement said “…IndiGo expects to grow its fleet by 13 aircraft in the fourth quarter of fiscal 2016, followed by year-over-year increases of 11 aircraft in the first quarter, 21 aircraft in the second quarter, 27 aircraft in the third quarter and 24 aircraft in the fourth quarter of fiscal year 2017.” Quite clearly the airline will be returning some aircraft of its fleet as it is its practice to return aircraft after about six years of service.